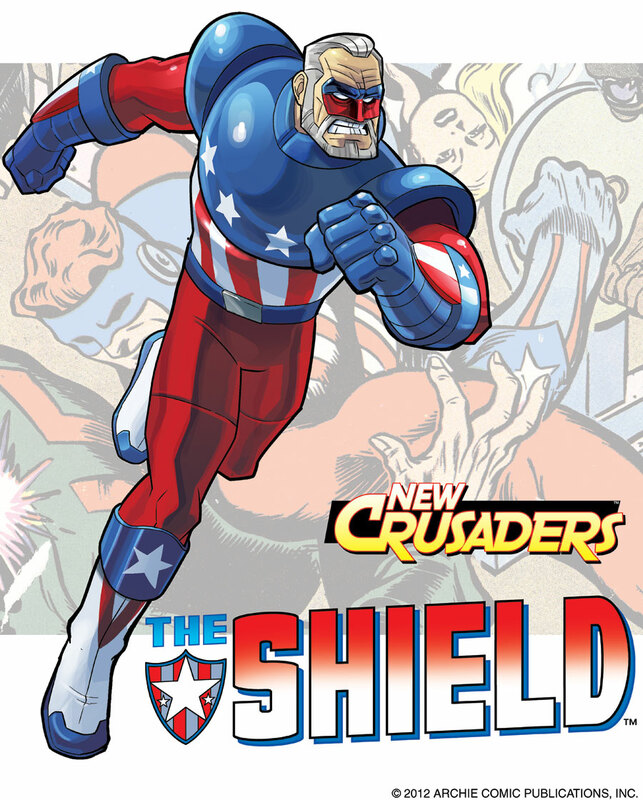 Joe Higgins was the original super-hero – the Shield! The young and brilliant chemist completed his father’s research to create the suit and system that turned him into the star-spangled soldier. A career as an FBI G-Man honed his detective skills, resulting in a protector who would span the ages! But time has taken its toll on Joe. Sure, he’s still super-fit and just as sharp as ever, but he’s a man of a different era. The tactics and sentiments of his youth don’t always hold up today. Does he have what it takes to lead the next generation of Crusaders? Or is his brand of old school just what these teens need? Keep up with The Shield’s adventures when you download the Red Circle app.